The Washington State Spring Fair starts in April (opening day is Thursday 4/11/19). This is a very popular event for families especially, as I’ve heard many folks around this area who prefer the Spring Fair to the big State Fair. Often the crowds are much less, but kids can still have a lot of fun with all the activities at the fair. The name has been changed to the Washington State Spring Fair for some time now, but it used to be known as the Puyallup Spring Fair, as the Fair Grounds are in Puyallup. 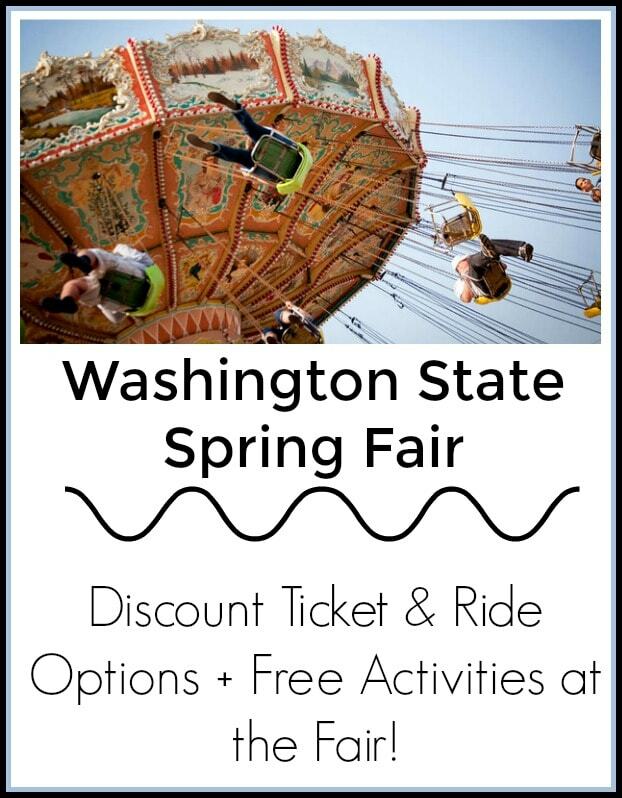 We have found Washington State Spring Fair discount tickets available right now if you are planning to go this year and want to save on your costs. Note that the first day of the fair (4/11) kids get in free with food donation. Kids 5 and under will get in free everyday as well. One thing that has changed this year, is that parking is only free on Thursday (opening day). You can also get a Ride Saver deal that is good opening day only too (it is for 6 rides for $19, so a pretty good deal). Between the kids get in free, free parking and ride saver deal, opening day is definitely the best value day to go! Free Kids Day! 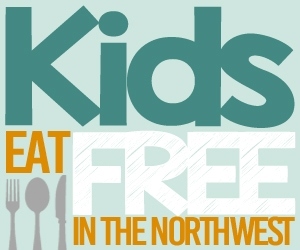 – Thursday, April 11, gate admission is free for ALL KIDS ages 18 and under from when the gates open at 2 pm to 10 pm with a suggested non-perishable food donation for the Puyallup Food Bank. The Quackpack – get two adult admissions, two kids admissions and 120 ride tickets for $72. You have to buy it before the fair opens, and it is good for 4/11-4/14 only. Kids 5 and under get in free every day of the fair. 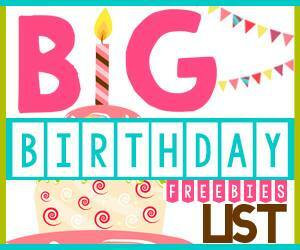 You can find more deals for kids free day, military members and more on the Fair’s deals page as well. Personally I prefer the Spring Fair over the regular fair as it is generally less crowded and easier to navigate through attractions etc. The last few years the weather has been great, too, if I am recalling correctly. It used to be that it was a smaller version and that they crowds were quite a bit better than the regular fair, but it does seem like it is growing in popularity and getting bigger and more crowded each year (but still beats the crowds of the regular fair, so far, in my experience). Besides getting ticket discounts, or getting in free on the free days, here is a list of free things you can do at the Washington State Spring Fair, so you can plan your trip to save as much as you can! The Farm at Sillyville – The farm at SillyVille is new to the Spring Fair this year (although it was at the regular fair last year). Its a place that kids can come and learn about being on a farm with hands on activities, etc. Free Movie Night: ‘SING!’ – this will happen on 4/11 at 8pm, so if you want to incorporate a free family movie night into your fair experience, plan your trip around this date (and the movie is super cute, if you have not seen it yet)! Fun on the Farm – this area has a petting farm my kids still insist on going through each year, even though they are getting older. There is lots of fun activities for kids in this area. Brad’s World Reptile Show – kids can get up and close and pet reptiles at this show! All Alaskan Racing Pigs – Free shows daily. Find the schedule for this year’s shows. Professor Smart Science Shows – this science show happens three times daily. Find the schedule here. Dockdogs – this is a show that includes dogs doing tricks in a water pool. Find the schedule for this one here. Check out all the free fair fun options to plan your trip here. Shake off your winter blues at Washington’s biggest celebration of spring, the Washington State Spring Fair in Puyallup, April 11 – 14! Enjoy many of your favorite rides like the Wild Cat, Giant Slide, and C.P. Huntington Train, plus a BBQ contest to wake up your Spring appetite. Join Quigley the duck (and family) to see adorable baby animals, tons of entertainment from leaping DockDogs to the new Cirque Ma’Ceo Equestrian Stunt Show, garden workshops, the action packed Motorsport Mayhem shows, and much more!